Xavier Giro-i-Nieto is an associate professor at the Universitat Politecnica de Catalunya (UPC) in Barcelona, as member of the Intelligent Data Science and Artificial Intelligence Research Center (IDEAI-UPC) and Image Processing Group (GPI), and also a visiting researcher at Barcelona Supercomputing Center (BSC). He graduated in Telecommuncations Engineering at ETSETB (UPC) in 2000, after completing his master thesis on image compression at the Vrije Universiteit in Brussels (VUB) with Prof. Peter Schelkens. After working one year in Sony Brussels, he started a Phd on computer vision, supervised by Prof. Ferran Marqués. In parallel, he designed and taught courses at the ESEIAAT (video content delivery) and ETSETB (deep learning) schools at UPC, as well as the Master in Computer Vision of Barcelona (video analysis). He visited multiple times the Digital Video and MultiMedia laboratory directed by Prof. Shih-Fu Chang at Columbia University in New York between 2008-2014, with whom keeps collaborating. He also works closely with the Insight Center of Data Analytics at Dublin City University, as well as his industrial partners at Vilynx, Mediapro, and Crisalix. He serves as associate editor at IEEE Transactions in Multimedia and reviews for top tier conferences in machine learning, computer vision and multimedia. April 2019: Serving as Area Chair of Media Interpretation for ACM Multimedia 2019. April 2019: Our Phd candidate Miriam Bellver has started an internship at Amazon Berlin. February 2019: Two papers accepted in CVPR 2019: end-to-end video object segmentation with UOC, and inverse cooking with Facebook. February 2019: Wav2Pix paper accepted in ICASSP 2019. February 2019: Our Phd candidate Víctor Campos has started an internship at Salesforce Research with Caiming Xiang's team. 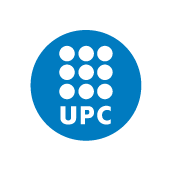 February 2019: We start our new Postgraduate course on Artificial Intelligence with Deep Learning at UPC School. January 2019: Coordinating & teaching two introductory courses to deep learning: one at UPC TelecomBCN and another one at UPC CFIS. January 2019: Invited tutorial on Multimedia Deep Learning at the 25th International Conference on MultiMedia Modeling (MMM) in Thessaloniki (Greece) on January 8th, 2019. December 2018: Our Phd candidate Amaia Salvador organizes the Women in Computer Vision Workshop at CVPR 2019. December 2018: Organizer of the 1st Deep Learning Barcelona Symposium on December 20-21. Awards: Best scanpath prediction in Salient360 ICME Challenge 2017, Best poster award at LSCVS NIPS workshop 2016, Best poster award at ICMR 2016, Among Top 10% papers in ICIP 2015, Winner of the LSUN Saliency prediction challenge in CVPRW 2015, 2nd place in ChaLearn Cultural Event Recognition Challenge in CVPRW 2015, 2nd place in MediaEval Social Event Detection 2014, 3rd place in MediaEval Social Event Detection 2013, Winner of the Videobrowser Showdown in MMM 2012. Selected Service: Associate Editor of IEEE Transactions on Multimedia (2017-2019), Associate editor of ACM SIGMM records, Area Chair of ACM Multimedia 2016, Organizer of Lifelogging Tools and Applications (LTA) workshop at ACM Multimedia 2016 & 2017. Conference Committees: NeurIPS (2019, 2018, 2017), ICLR (2018, 2017), ICML (2019, 2018), CVPR 2019, ICCV (2019, 2017), ACM ICMR (2019, 2018, 2017), ACM Multimedia (2019, 2018, 2017, 2016, 2014), ICIP (2014, 2003), EUSIPCO 2011. Workshop Committees: MUSA 2017@ACMMM, VSM 2016@ECCV & 2017@ICCV, EPIC 2016@ECCV & 2017@ICCV, ISM 2016, CBMI (2016, 2015,2014), CrowdMM 2015, MMSys 2015 Dataset Track, SMAP 2015, MediaEval 2014, SMAP 2014, SEWM 2014, MMSys Dataset 2014, SMAP 2013, ICIP 2003. Journal reviewer: IEEE Transactions on Pattern Analysis and Machine Intelligence (TPAMI), Multimedia Tools and Applications (MTAP), EURASIP Journal on Image and Video Processing, Multimedia Systems (MMSJ), Image and Vision Computing (IMAVIS). C. Ventura, Varas, D., Vilaplana, V., Giró-i-Nieto, X., and Marques, F., “Multiresolution co-clustering for uncalibrated multiview segmentation”, Signal Processing: Image Communication, In Press. M. Assens, McGuinness, K., O'Connor, N., and Giró-i-Nieto, X., “Scanpath and Saliency Prediction on 360 Degree Images”, Elsevier Signal Processing: Image Communication, 2018. M. Dimiccoli, Gurrin, C., Crandall, D., Giró-i-Nieto, X., and Radeva, P., “Introduction to the special issue: Egocentric Vision and Lifelogging”, Journal of Visual Communication and Image Representation, 2018. V. Campos, Jou, B., and Giró-i-Nieto, X., “From Pixels to Sentiment: Fine-tuning CNNs for Visual Sentiment Prediction”, Image and Vision Computing, 2017. A. Carlier, Salvador, A., Cabezas, F., Giró-i-Nieto, X., Charvillat, V., and Marques, O., “Assessment of Crowdsourcing and Gamification Loss in User-Assisted Object Segmentation”, Multimedia Tools and Applications, vol. 23, no. 75, 2016. V. Campos, Giró-i-Nieto, X., Jou, B., Torres, J., and Chang, S. - F., “Sentiment concept embedding for visual affect recognition”, in Multimodal Behavior Analysis in theWild, 1st ed., Elsevier, 2018. E. Mohedano, Salvador, A., McGuinness, K., Giró-i-Nieto, X., O'Connor, N., and Marqués, F., “Object Retrieval with Deep Convolutional Features”, in Deep Learning for Image Processing Applications, vol. 31, Amsterdam, The Netherlands: IOS Press, 2017. M. Bellver, Giró-i-Nieto, X., Marqués, F., and Torres, J., “Hierarchical Object Detection with Deep Reinforcement Learning”, in Deep Learning for Image Processing Applications, vol. 31, Amsterdam, The Netherlands: IOS Press, 2017. C. Ventura, Martos, M., Giró-i-Nieto, X., Vilaplana, V., and Marqués, F., “Hierarchical Navigation and Visual Search for Video Keyframe Retrieval”, in Advances in Multimedia Modeling, vol. 7131, Springer Berlin / Heidelberg, 2012, pp. 652-654. E. Carcel, Martos, M., Giró-i-Nieto, X., and Marqués, F., “Rich Internet Application for Semi-automatic Annotation of Semantic Shots on Keyframes”, in Computational Intelligence for Multimedia Understanding, vol. 7242, Pisa, Italy: Springer-Verlag, 2012, pp. 172-182. C. Ventura, Bellver, M., Girbau, A., Salvador, A., Marqués, F., and Giró-i-Nieto, X., “RVOS: End-to-End Recurrent Network for Video Object Segmentation”, in CVPR, Long Beach, CA, USA, In Press. A. Salvador, Drozdzal, M., Giró-i-Nieto, X., and Romero, A., “Inverse Cooking: Recipe Generation from Food Images”, in CVPR, Long Beach, CA, USA, In Press. A. Duarte, Roldán, F., Tubau, M., Escur, J., Pascual-deLaPuente, S., Salvador, A., Mohedano, E., McGuinness, K., Torres, J., and Giró-i-Nieto, X., “Wav2Pix: Speech-conditioned Face Generation using Generative Adversarial Networks”, in ICASSP, Brighton, UK, In Press. M. Górriz, Antony, J., McGuinness, K., Giró-i-Nieto, X., and O'Connor, N., “Assessing Knee OA Severity with CNN attention-based end-to-end architectures”, in International Conference on Medical Imaging with Deep Learning (MIDL) 2019, In Press. E. Ramon, Villar, J., Ruiz, G., Batard, T., and Giró-i-Nieto, X., “Plug-and-Train Loss for Model-Based Single View 3D Reconstruction”, in BMVA Technical Meeting: 3D vision with Deep Learning, London, UK, 2019. C. Ventura, “Visual Object Analysis using Regions and Local Features”, 2016. X. Giró-i-Nieto, “Part-Based Object Retrieval With Binary Partition Trees”, Universitat Politècnica de Catalunya (UPC), Barcelona, Catalonia, 2012. J. José Nieto, “Video Saliency Prediction with Deep Neural Networks”. 2019. M. Tubau, “Wav2Pix: Enhancement and Evaluation of a Speech-conditioned Image Generator”. 2019. J. Escur, “Exploring Automatic Speech Recognition with TensorFlow”. 2018. E. Ramon, “Deep Learning algorithms for 3D Reconstruction and Simulation of Aesthetic Procedures”. 2018. A. Alsina, “An interactive Lifelog Search Engine for LSC2018”. 2018.